As a world-class procrastinator, I know I’m very late with this post only about 12 hours before the event. However, I still wanted to share it with you in the hopes that maybe it could help one person. As you may have heard, the Juno spacecraft will be making a close approach to Earth on 9 October 2013 as it slingshots to gain energy for the trip to Jupiter. The investigators who are in charge of a radio receiver on the spacecraft wish to see if they can detect intelligent life on Earth who may be transmitting on the 10 meter band. Therefore, they are asking licensed radio amateurs to transmit a slow-speed CW “HI” signal to Juno during a window at Juno’s closest approach. The full details are on the Hi Juno page (due to the US government shutdown, the primary page is offline, but the event is still planned to take place). In order to be able to take part in this event without having to be right at the transmitter (I have to take care of my two toddler boys during the specified time period), I wrote a program in Python which will automatically transmit at the appropriate time. You just need a PC synchronized to NTP time, a 10 meter CW transmitter, a serial port, and a keying interface (which I will describe shortly). I plan to execute the program on my shack PC via SSH and monitor my transmissions on a portable receiver to maintain control of the transmitter. 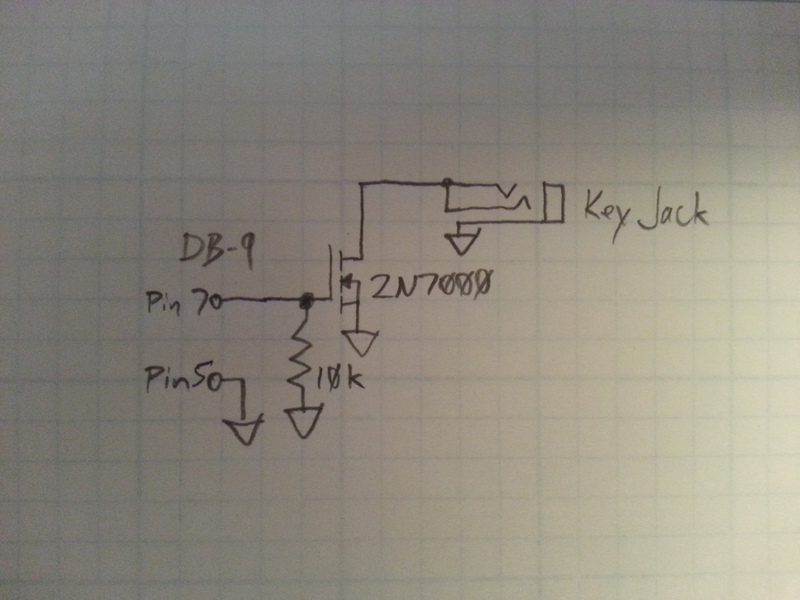 Here is the simple keying circuit I use to key my Icom IC-718. It should work with just about any grounded keying transmitter, but as usual your mileage may vary. 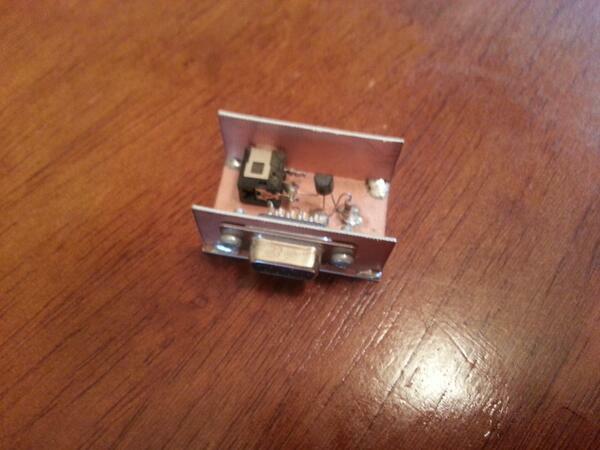 I use a DB9 female jack for the serial port. The RTS line is used to turn on a 2N7000 MOSFET, which will ground the key line in order to transmit. You can use any key jack that is appropriate for your transmitter. I use this circuit with a USB-to-Serial adapter, and it still seems to work fine. The actual Python program to control the serial port keyer is found here at GitHub. You will need to have the PySerial module installed on your system, in addition to the regular Python installation. I’ve tested it here, but please be sure to test it yourself on a dummy load before using it on the air (you will need to temporarily change the START_DATE variable to an earlier time in order to get the program to transmit). You will also need to change the DEVICE, BAUD, and CALLSIGN variables to values appropriate for you. Linux/OS X users would change DEVICE to whichever “/dev/tty*” port is appropriate, where the * is your port numbe. Windows users would use “COM*”, where * is the COM port number. Sorry that I can’t hold your hand through this, but it should be fairly simple to get running. Linux and OS X users may also have to execute the program under sudo in order to access the serial port. Please let me know if you end up using this, and don’t forget to request a QSL from Juno! Previous postThe CRX1 Is Here! “@NT7S: @scott_r_harris @roteno Just posted this: http://t.co/Vy2NSwGD1z” – such a cool project! Nice write up.